I develop my web sites using a combination of CMS (Content Management System) and native HTML. The CMS I use are Weebly and Google Sites but I cannot guarantee that these will remain available. Therefore I write the bulk of the content in native HTML and use CMS to build navigation and provide home for web pages. I use Markdown to write HTML. This was straight forward until IOS (iPhone, iPad) arrived and now I require my web sites to work in this environment as well. One approach I tried was to write Google Docs, mainly word and spread sheets but occasionally drawings. These displayed fine in desktop browsers but was not successful on IOS platform. Now this seems to be resolved. 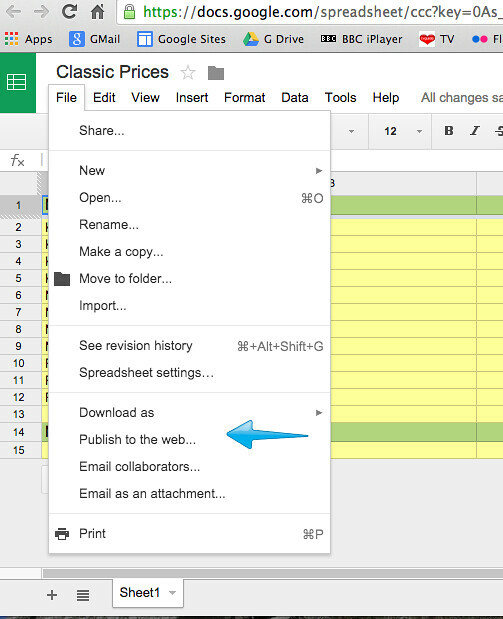 Following is an embed of Google Spreadsheet. 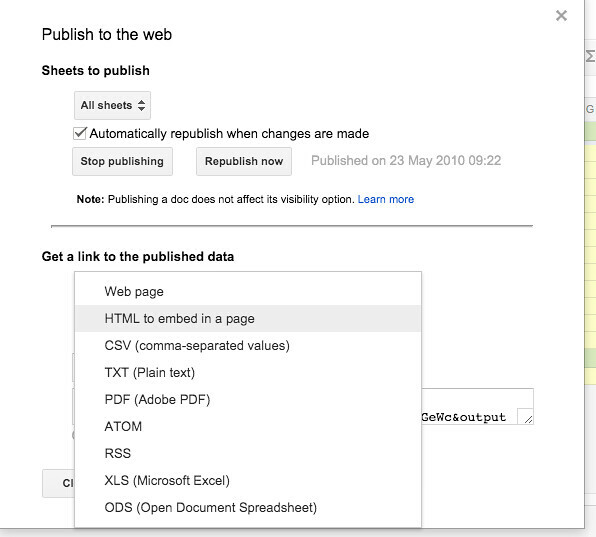 1) In Google Docs select File and then Publish to the web. 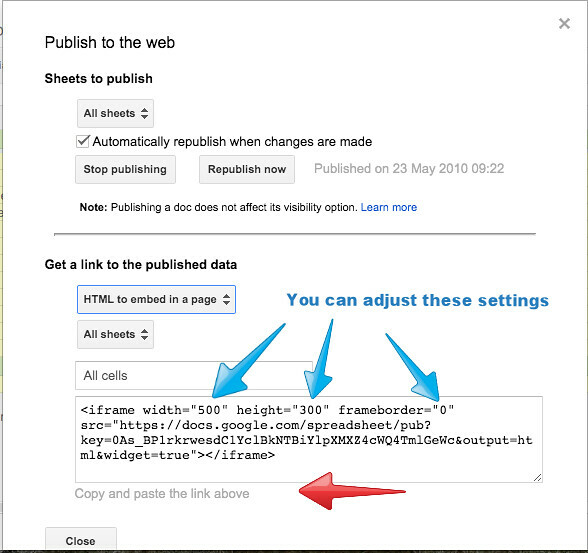 2) Select HTML to embed in a page and optionally Automatically republish when changes are made. 3) Select HTML to embed in a page and then Copy and paste link. Note you can make adjustments to width, height and border if you wish. I made the width 100% for my spreadsheet so that it used the full width of the page.